Despite a Kodi addon crackdown, Kodi remains one of the most popular home theatre PC (HTPC) open-source software options. The robust media center offers installations for a variety of platforms ranging from PCs to Raspberry Pi boards and even set-top boxes such as the Nvidia Shield TV. While Kodi plays pretty much any file thrown at it, addons are another means to make use of the Kodi ecosystem. Learn about the best new Kodi addons for your media consumption! Over the years, several addons have come and gone. Recently, published a list of top 93 working Kodi addons. In this list, we will look at the 20 new Kodi addons that are becoming popular in 2018. Ok, so what is a Kodi addon? This is a topic that has been covered in detail in our previous guides. Briefly, a Kodi addon is a package which brings new features and functionality to the Kodi media center. 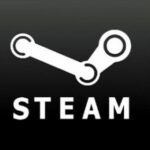 Although many addons provide legitimate content from official sources, addons are all community-sourced. Therefore, these may not function properly on occasion. Again, this has been covered in detail in our list of best Kodi addons. We recommend you to review that post for the latest installation methods for several addons. Briefly, you can install these addons from a zip file, from repositories, or using the GitHub browser addon. All these methods are explained in the above-linked article. We have covered several Kodi addons and published several lists before. So what's different about this list? Here we decided to focus only the 20 addons that either new or becoming popular this year. Without further ado, let's check out the best new Kodi addons for 2018. 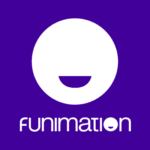 For anime fans, Funimation is a top choice as a streaming service. Among its top shows and movies, you'll find the likes of “Ghost in the Shell,” “Berserk,” “My Hero Academia,” and more. I use the Funimation NOW app across a plethora of devices including my Android phone and tablet, as well as the Android TV app via my Nvidia Shield TV. Because it's available for Kodi, the Funimation NOW app is a great option and one of the best new Kodi video addons you'll find. It's in the official repositories, so super simple to install. You will need to sign in to use the Funimation Now app for Kodi, and as such it requires a paid subscription. If you've yet to use Crackle, you're missing out. It's one of the top new Kodi addons for movie and TV show streaming. Everything available in Crackle is free to watch and all content is streamed in full. There's a minor catch which is that Crackle does feature ads. However, the service is free and it's a small sacrifice for free movies and TV shows. 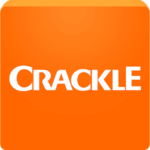 While much of the content from Crackle is syndicated, Crackle does provide its own original content as well. Spotify is one of the top streaming music services. Considering this, Spotimc, a means to install Spotify on Kodi, stands in the most popular Kodi addons. It's easy to install via third-party repos or with the GitHub page. The user interface is pretty polished, making it a must-install for Kodi users. For cord cutting, FilmOn is a great addition to any Kodi media center set up. 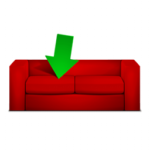 It's not in the official repository, but you can find it in the alternate repositories like Fusion. It's packed with live streaming functionality and on-demand video. Therefore, it's a great new Kodi live TV addons option. You'll find TVCatchup highly touted in the best new Kodi video addons. It's a service for watching free video-on-demand from a variety of sources. There's also live TV streaming, making this a must-have Kodi addon. For cord cutters, free live streaming channels are a must-have Kodi addon. It's one of the best new Kodi movie addons for sci-fi content. You'll find a smattering of movies, TV shows, and more on this awesome service. 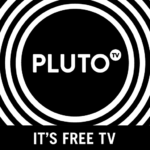 Another free, legal source of movies and TV for cord cutters, Pluto TV offers apps for several platforms. One such ecosystem is Kodi. With Pluto TV, one of the new Kodi addons every cord cutter needs, you can stream and watch on-demand content from hundreds of channels. Vice rose to prominence as a renowned media outlet. As such, its Vice Kodi addon is a best bet for news consumption. Its videos are informative and thought-provoking, and the addon is in the official repositories. Like Plex for Kodi, Emby server is a great way to stream your movies, TV shows, music, and more to your client devices. Because of the Kodi plugin, any Kodi capable device is a solid Emby client. Offering its share of quality videos including tons of documentaries, Snag Films is an awesome on-demand video source. As one of the most popular Kodi addons, Snag Films is easy to install from the official Kodi repo and has tons of legitimate streaming video content. Sports can be tough to stream. However, with NBC Sports Live Extra, one of the top new Kodi live TV addons, you can stream loads of sporting matches from football (soccer) to tennis and more. Unfortunately, Kodi lacks some popular streaming apps such as Netflix. However, streaming media company PlayOn features a workaround for watching content from virtually any provide on Kodi. Since PlayOn brings the likes of Netflix videos to Kodi, it's an awesome service. However, legality is questionable so be careful when using this service. For merely streaming content from services you legally pay for such as Netflix, that's in theory fine. But if you're recording content, that's clearly illegal. Kodi remains an ever-changing landscape. Originally an Xbox media center, aptly named XBMC, Kodi expanded to a smattering of platforms. Now, it's best known for its array of addons as well as comprehensive multimedia playback capabilities. I use Kodi on my Raspberry Pi running RetroPie, Linux laptop, WeTek Play 2, and MeCool BB2 Pro. 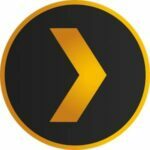 My most used Kodi addons are Plex for Kodi, Funimation NOW, and PS Vue. However, I also enjoy the SmartThings addon, Steam Launcher, and many cord cutting apps like Crackle and Pluto TV. Once you have one instance of Kodi configured all your favorite addons, you can easily clone Kodi setup to other devices. Which Kodi addons do you suggest for 2018?